Thanks for sharing this. To some extent, we all live with anxiety and the urge to run, though perhaps not in such high doses. Yes, life is truly in those simple, fleeting moments of happiness, solace and comfort! I’ve enjoyed your posts and recipes here in Mumbai! Thank you, N K. We are all much more similar than we know. Glad to know you have the Mumbai contingent covered. Thanks! Thank you for writing about this so unflinchingly, David. A good reminder that we never know what battles another person is dealing with. So true, quinn. I’ve been in rooms with people while feeling awful or having a full-fledged panic attack and no one really knew. We don’t know what’s going on under someone’s skin. Thank you for writing this, I think. No really. It is just so painful. I am a parent like your parents and this has been a tough year. Having my 24 year old son out driving and doing errands is nothing short of a miracle for which I am endlessly grateful, even though he may have been a brat yesterday. I do want you to know that you have given a mom who has been basically on suicide watch for months some relief and hope, as have his doctors and therapists who keep trying to get the right meds for him. I don’t know if they have a diagnosis per se, but it’s okay for now. I’m 57. Who knew? A Mom, I’m so sorry for the pain your son is experiencing, and you by extension. There is always hope, that I can assure you. I was suicidal two times in my life, one time lasting for months and months. I slogged through unmedicated. It lifted, finally, thanks to a U-turn in my brain chemistry in the form of a moderate manic episode. My heart is with you both. A certain sweet irony is this: you know how the internet is, so hopefully you won’t be too surprised that I don’t really know how I came across your blog, but I did. And the fact is that the one and only concrete thing I knew I could do to help my son during these months of turmoil was to cook good food from good organic fresh ingredients! Now I get to read the rest of your posts, feeling supported and oh so happy for your younger self (and undoubtedly your parents) who survived such unbelievable pain. Thank you again for sharing that part of your rich story. You are more than welcome, A Mom. And making a good, nutritious meal for someone is one of the kindest, most loving things you can do. The human spirit is resilient–and so are you. And even though you don’t know how you got here, I’m glad you arrived. Hang in there. Unbelievably well written. Shamelessly honest. Bravo! Simply…Bravo! Thank you, Mary Anne. Your kind words are much appreciated. I agree with Quinn and Mary Ann. Courage to you David in your continuing journey. What a brave man you are. You just helped lots of people by sharing. @janis33janis, that’s my hope. If I can reach just one kid who is like I was, it would have been worth the two years it took to write this post. This is a beautiful piece David. Thank you so much for sharing – I can’t imagine it would have been easy to write. I *don’t* suffer from bi-polar disorder but I can very much relate to this line: “Even on my worst days, when it feels like I have some gargantuan creature threatening to drag me down me through the couch cushions, the simple act of swirling a knob of butter in a hot skillet can cheer me”. Anyone who loves cooking/baking will relate to that :) Keep cooking and writing David – your work brings so many people so much pleasure! Mardi, it was incredible hard to write. I had to do it over and over again. I even let it drop for two years. But I felt I was being less than honest because my illness informs so much of what I do. (Now all those people are thinking, “So THAT’S why he’s the way he is! !”) Cooking and writing do help, which surprises me since reading is impossible when I’m in the throes of depression. David, your descriptions are poignantly well described and bring a vivid portrait to this illness that many share. Having Julia to anchor you when you most needed someone is and was most appreciated. Thanks for putting it out there in your humorous yet informative way! Thank you, cheryl. I hope the portrait of the illness helps others. And you, too, my dear Anna. I cannot imagine what you went through. I thank you for sharing as it gives me a better understanding of bipolar. I will have more empathy for others. God bless you for having the courage to write about this. All I can say, Glady, is it was a horror. Back then no one knew about childhood onset bipolar. I remember beginning to have problems as early as 10 years old. Thank you for your blessings and kind words. Thank you, Beth. It really means a lot. I found that just before hitting “publish” I was terrified and second guessing myself. Understandable. It’s a very big thing to share with the world. But who knows who this will help. Sharing this was a very brave and very kind thing to do. Again yet another heartfelt post, straight from within, which I not only pray many will read and identify with you as well as give hopes to those that may be going through similar circumstances. One’s mind is still so unknown, yet have a daughter with ADD, I do know those “escapes” whether in your case Julia Child or for my daughter, all that has to do with dance (and cooking too) are that chance, that hope, that consistency in one’s life to make things better, to look forward to, to keep on living. Thanks for sharing such candid personal thoughts and experiences with all of us. Sofia, your hope is my hope. I’m sorry to hear your daughter has ADD, but I’m comforted to know that, like me, she finds relief in cooking. The important thing to remember is people with all kinds of disabilities and illnesses can and do lead productive, creative, fulfilled lives. See? I am not sorry. I see a lot of people with all types of disabilities and/or illnesses to be the strongest of people and usually the most creative. As you, my daughter would not be who she is otherwise and I love her for that. And the same with you. That IS what makes you the David Leite we all treasure and love. Good heavens I love this. I’m at work so have to keep it brief but thank you so very much for your candor. Thank you, Paula. And thanks for taking the time out of work to read it. Now…get back to work! Oh my God, Jamie, I can’t believe you remember that conversation. Even as of yesterday The One was still unsure of the rightness of posting it. But for me it’s the missing puzzle piece. It informs so much of what I do. I have to say if I could press a button and get rid of it, I wouldn’t. It’s makes me who I am, the same way being gay does. Now, if I could just have the highs and not the lows, I’d LOVE it! But that ain’t happening any time soon. Ah, but what marvelous highs they can be! Now if only we can only minimize the damage of the lows. Good on you for your second coming out. Very proud of you for doing this. And here’s to the therapeutic swirling of knobs. And, yes, I’m quite good at swirling these days. A swirling dervish, you might say. What a beautifully written and utterly touching piece. I feel fortunate and pretty special that you have let us listen. You really are very brave, and you have certainly overcome a great deal. Thanks for sharing. Adri, thank you for listening. My big fear, as I told The One this morning, was that after the post published, all I would hear would be crickets. (Although Renee, our editor-in-chief knew it would be the opposite.) I’m humbled by people’s responses. And I hope the essay can help others who are suffering in silence or in confusion. Bless your brave heart, David. Coming from you, my dear, I’m sure my heart is blessed. Thank you, Julia. Wow, David. I am surprised and sorry you have experienced that kind of pain, but glad you finally got a diagnosis, and validation, and wrote about it. As always, your words leave me without words. 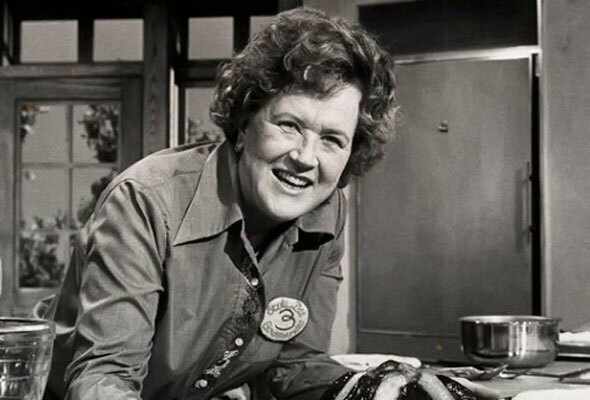 I just love you (and Julia Child, too.) Thank you. You are welcome, dear Susan. I’m glad my writing touched you. May it also touch those people who so desperately need help. Beautifully said. Thank you for being so courageous. Because you have to be afraid first, to be brave. And your courage shines. David, my absolute favorite people in the whole wide world have bipolar. My son, my sister, my brother, me. It can take some practice and experimenting with techniques. Once it’s figured out; life is even more amazing than before. With my experiences, pain, silence, misunderstanding and confusion having a name, I am now able to help my sons who struggle. Now, should you choose, you too have that opportunity. So, really, even with all the pain I have endured (and sometimes still do) I find my bipolar to be a blessing. I would have lost a son already had I not known what to see in his pain. Carrie, I agree wholeheartedly. i wouldn’t want this taken away for the life of me. It’s made me who I am. The struggle, fears, analyzing, emoting, searching–all of it has made me me. I think it’s even behind my being a writer. I always had a deep need to be understood, and writing in a journal for years helped that. Unlike Groucho Marx, I’m delighted to join a club that wants to have me as a member. This was beautiful. Thank you for sharing, David. Thank you, boys. I really appreciate it. David, thank you for sharing such an intimate piece of your life. You are an amazingly brave and beautiful soul. Zöe, thank you so much. I’m so happy this has touched people in such a positive way. Oh David. Thank you for sharing this beautiful, personal piece. My heart broke for that little boy and I am so happy to know that he has grown into this brave, generous man. I appreciate that you shared this point of view of bi-polar. I have a close friend who lives with it and it has always been difficult for her to put how it feels into her own words. I will share this with her. Very Best Wishes. HeatherChristo, my heart still breaks for “Little Me” — no child should have to go through that. And I hope this essay helps your friend. If there is anything I can do, please let me know. Fantastic post! Cooking really is a wonderful salve for the soul. It never lets you down. You’re completely right, Alison. Cooking never lets you down. David, my hope for you: that you have more good days than bad! Jana, I am fortunate to say, yes, I do have many more good days than bad. Sherri Jo, I appreciate you writing. I wish that everyone could address their issues–whether it be bipolar, breast cancer, schizophrenia, leukemia, etc.–because the support and outpouring of love they would experience would be amazing. Thank you for sharing this. My late husband, his mother, his brothers. *sigh*…my son. Your story helps. Mary Beth, my heart breaks. So many people. They say it does run in families. If I can be of any help, please let me know. David, I have a new found admiration for you. We never know how difficult most person’s lives are. Thank you for sharing. You write beautifully and from the heart. DOROTHY, no, we don’t know the hell someone is living behind the smiles and “good mornings.” And I hope this can serve as an example for others who are scared to speak out. It’s safe and good and welcoming out here, folks! David, thank you for posting this. You made a good, and generous, decision. Bipolar disorder is so poorly understood and represented for most of us, and it’s only in writings like yours that people can learn more, without any Hollywood drama or stigma clouding the way. Carol Anne, so well said. Thank you for putting it so plainly and kindly. David, I was doing fine until the last paragraph. Now I write this with tear-filled eyes. You are so brave to share your pain, a pain I can only imagine. I am so thankful to not have bipolar or chronic depression. Julia had a profound efect on me, too, as a young girl; and I am so happy to hear what she, unknowingly, did for you. Wishing you bright and happy days! Jean, you’re very kind. Thank you for your warm wishes. And pass this on to anyone you think could benefit from it. Oh my…your bravery makes me weep. Such pain is so unnecessary. My late husband was bi-polar, also diagnosed late, he was about 42, and the damage that had been wrought on him thru miss diagnoses and self medication took its toll. He died a short 3 yrs later. Our inability to understand mental illness, to get it right costs us as a society. Costs us our most beautiful and creative creatures. I am so happy for you that you found a safe way, and a loving way. nickelmoon, I’m truly sorry to hear about your husband. So unnecessary. Sadly, so many creative creatures, as you call them, are ill. Kay Redfield Jamison, a Professor of Psychiatry at Johns Hopkins University who suffers from bipolar herself, has written a lot about the connection between creativity and mental illness. Actually, it was her book An Unquiet Mind that led me to believe I was bipolar. Thank you for sharing this, for taking a risk on behalf of so many others like you. Beautiful, bare, and brave. And may those lows be increasingly fewer and further between. crogers, you are more than welcome. Hopefully the risk will pay off. And the lows have been steadily getting better. My psychopharm said that is some cases the illness can burn itself out over time. But for many people, it just gets worse. David, your words are beautiful. You have a gift and I’m so touched that you opened such a big part of your soul. Wishing you so much happiness, peace and inspiration. Julia would be honored to know her spirit had such an impact. Laura, thank you. It is a huge relief to get it all out there. And I think you’re right about Julia. Margie, my heart aches for your son. If there is anything I can do, let me know. I’d be happy to talk him. Just ping me. If wishes were horses, I’d have him in therapy right now. I so appreciate your generosity and caring. I mean it wholeheartedly. Maybe just hearing another give voice to his feelings will make him more amenable. Thank YOU, Karista, for your thoughtful words. Your writing brought my childhood flooding back to me. We are the same age. Mine was complicated with severe anxiety and ADHD. Both Julia and Graham Kerr (along with a never ending supply of “women’s magazines”) helped me escape from anxiety of never being “good enough.” Like you, I cooked. Thank you for sharing. It’s comforting to know that little boys, such as we once were, grow up to be okay. Cheers. Jeff, I, too, suffered from debilitating anxiety, which was part of my bipolar illness. But you said it all: those scared, lost little boys do grow up to be okay. Even better than okay: successful, happy, caring, thoughtful, determined…. I want to cry for the child that was you instead I will applaud the man that you are. Marvelously put, Donna. Thank you. Ellen K., thank you for all your kind words. I shall continue to fight the good fight. Every day is a chance to improve over yesterday. Pieri, you are welcome, my friend. I know you’re a trooper, I believe! I just wanted to make sure that weren’t setting us up for lower expectations because we sympathize with you for coping with this disorder. That wouldn’t really help you one bit! Big BangTheory re-runs do for me! It’s hard as adults to go through and handle long term/permanent illnesses/situations, but so sad for a child to carry that pain for so many years. Not knowing what’s wrong or being able to get relief. I hope the medication and support from loved ones will keep you on an even keel so you won’t have to endure that pain again. I always admired your talent for writing and expressing yourself while entertaining your reading audience–I never knew there was pain lurking behind it. Jamie, thanks. Yes, it’s a shame for any kid to carry such a weight of pain for all those years. That’s why I encourage all parents to have their kids checked out if something seems off. What’s the worst that can happen? You find out he’s just a brooding kid. The best? You discover an illness that can be treated to varying degrees, which means less pain. And, yes, I was slogging through a lot of emotional hell while writing many of the posts and articles I’ve published over the years. But not so much these days. Thank you for sharing your story with us through this beautifully written post. I was never diagnosed with this disorder, but I lived with it all the same because of my mother’s suffering. It is funny that our childhood memories are different yet very much the same. I would often come home from school to a darkened, quiet house which told me that my mom was having a sad day. I’d stick my head into her bedroom to let her I was home and she would more often than not invite me to come in and sit with her. We’d turn on the tv, curl up in her bed, and you guessed it, watch Julia. Mom loved to cook and The French Chef always seemed to lift her spirits. It touches me to know that about the same time, you were finding comfort in the same way. Years later as a waitress/college student in Houston, I had the pleasure of waiting on Julia Child. She and her husband had many cocktails in my station that night. They were both sweet and warm and gave me a very nice tip. I still kick myself for not asking her for an autograph because I’m sure she wouldn’t have minded. As my service experience taught me, you can tell a lot about a person by the way they treat someone who is paid to serve them. I am happy to say that Julia is quite worthy of our affections. savourytable, your comment just slayed me. I’m sitting here weeping. God, I remember those darkened rooms, the hushed tones, my poor, confused dad curling up beside me because I was just so terrified of what was going on in my head. I hope your mother has found some relief in her life. And the fact that she wanted to watch Julia, just like me, is mind boggling. It’s criminal how much joy this illness can rob from a family. I love cooking. I love the creativity of blending ingredients to make a whole. I love the science of why bread rises. I love the smells as the recipe takes shape. I love saying “I love you!” out loud to reruns of Julia or Jacques. And now I can say, I love it all even more because these things helped to rescue you and bring you to where you are today. Thanks, David, for sharing your story. Bonnie, what a sweet thing to say. Thank you for your kindness. And from these comments, I wasn’t the only one who found solace in Julia. Just when I thought I couldn’t appreciate and respect you more than I already do, you do this. Thank you, truly. David, thank you for your gift of words. I can’t say I know a lot about bipolar disorder, but I’m living with a chronically ill husband who needs desperately a diagnosis. I know too well the feelings of wishing for an end to pain — I’m happy to read of your resolve. It helps. nancy, thank you. And if there is any way to get your husband to a good facility to get diagnosed, do it. Because it can change your life immeasurably. It did mine. I thought I would take my own life when I was 25. The only thing that stopped me was that my mom was the head of a suicide prevention organization. The irony was just too much. Wow…never have I wanted to be sitting next to you more than I do right now. I adore you, my friend and I’m proud to know you. Putting one’s soul out there is scary as hell and you are so eloquent and yet matter of fact about it. As always, your words affect me in a way I can’t describe. It is a visceral reaction. Thank you for being so honest. Beautifully and brutally truthfully written, David. Cooking and baking has saved many of us from our worst selves, time and time again. Julia is smiling down on you, I’m sure of that. Rebecca, oh, never have truer words been spoken. Cooking and baking have saved many of us. Thanks for the warm words. Thank you for sharing this, David. I can only imagine how hard this must have been to put into words, and how many times you must have gone back and forth over the decision to actually put them out into the world. Julia’s love of the kitchen really was infectious… you just can’t fake that kind of enthusiasm and sheer joy. I think she’d have been really touched to know she brought a little happiness to a struggling young man. Isabelle, you’ll never know the anguish I felt over deciding to publish this or not. For about two years, I debated with The One, who felt it was not the right thing to do and was trying to protect me from haters; with Renee, who felt it was the kind thing to do; with my dear friend Kate Jackson, an amazing editor who has been urging me to write more personally. But in the end it would be me taking the fall if it were the wrong move. Why would people who know me as a food writer care in the least about me being mentally ill? It seemed as if I was introducing a whole new aspect into the blog. But it came down to the fact that I felt inauthentic, because my illness colors what I do, what I say, what and how I feel, everything. So I trusted my guy and pushed “publish.” And I’m glad I did. Dearest Lana, the feeling is mutual. Thank you for all that you do…for all of us. You are a lovely person…a talented and inspiring writer! You have a kind and compassionate heart to put aside your fears and write about Bipolar disorder. It is such a challenge for those who suffer from this situation and always enlightening to know another person who shares these life experiences. Your words are comforting to those who have this disorder as well as their family and friends. Thank you for sharing your life. Thank you, Leah, for your kind and thoughtful words. It’s so weird to think I almost didn’t post this because I thought people would either ignore it or attack me. Thanks for doing neither. Wow David, you are a very impressive person and incredibly, inherently balanced and healthy – I SO liked the way you nixed valium at age 12! Life is unfair and you’ve been through hell. I’m just so glad for you that you’ve built such a strong & original career, you have a ‘one’, a nice house….loving friends! And the courage and strength to tell us and be open about it. Thank you. elenits, that was one of my more shining moments, turning down Valium. I wasn’t about to be turned into Neely O’Hara from “Valley of the Dolls” screaming, “Sparkle, Neely, sparkle!” And I’m the first one to say I’m remarkably blessed. The illness is moderately manageable (which for so many it isn’t), I responded to medication, I was in therapy for years and years and years, and I have the support of some pretty great people. David, being a food blogger, of course I have read your work from time to time. But considering my visual inclinations as food photographer I have been reading way less than I would like to. Thank you for this post. I feel inspired to read more and write better. And this is not just a brave post, it is a very generous one too. I’m sending it over to a friend who I know will relate to the disorder. Kulsum, I hope your friend finds the essay useful. And, wow, if I inspired you to read more and write better, than I have done my job for the non-bipolars out there who are writers! Love, compassion, & sympathy to you, David. Stay strong. Wow, I am utterly speechless. I have always seen the fun loving, wild and crazy David and had no idea. Bravo for putting your fears and insecurities out to the world. You words might help another just as Julia helped you. 1. I AM a fun and crazy guy! 2. I’m good at hiding the darkness, when I have to. 3. I was feeling a bit manic. And, as you say, may this help others as Julia helped me. David, you are helping us all, diagnosed or not. Seriously, it’s been inspiring and touching reading all the threads today. Look how you have brought out the best in us. Cheers! Yes, Susan. I’m a bit overwhelmed and exhausted from crying so much! There is a lot of good and goodwill in the world. We can never forget that. Very poignant piece David, thank you for sharing that with us. And thank you for reading, Mark. What a wonderful and meaningful piece It will help many people. It helps make clear, too, how you ended up as such a sharing person, taking a creative profession beyond expectation to reach out to and connect with us all. We are all blessed because of the road you have traveled, David. Thank you. Kelly, that’s one of the nicest things anyone has ever said to me, that others are blessed because of my path. That certainly give a sense of purpose to this awful disease. Thank you. Beautifully done, David. The images are so vivid. My cousin who died was bipolar too and an excellent cook, but lost in his own head. He spent a lot of time in the closet of his bedroom as a young adult, too afraid to deal with the world. His last days were spent watching the Food Network. Thank you, Dianne. I’m so sorry about your cousin. I remember your telling me about him when he was dying. I didn’t know he spent time in the closet. It’s interesting he, and so many people who commented, find comfort and succor in watching the preparation of food. I wonder what that’s about. My heart breaks for that little boy. And for your parents – the pain of watching your kids in pain and not being able to help is one of the worst things. I am so glad you found a diagnosis and treatments, both medical and culinary. What courage it took for you to write about it. My hat is off to you. I feel the need to go swirl some butter now, in solidarity with you. As a kid I often wondered why they couldn’t make this “thing” better. Isn’t that what parents are supposed to do? Make the boogie man go away? Once I became an adult, and especially since I got together with The One who has a niece and nephews, I understood the anguish of not being able to help your kid. And thank you for the Swirl Solidarity. Thank you for this courageous, honest and inspiring post. Here’s to Julia, cooking, writing and your happiness. Beautiful article. You have found your solace, in Julia and sharing your love of food and writing. Julia comforted your soul and helped create your future. Save that book forever and give it a hug every now and then. Randi, thank you. I love the idea of giving the book a hug. I just did. For you. It must be some sort of omen that you decided to publish this today when just last night I was thinking about it. Getting home late at night and after one of the shitiest weeks I’ve had in recent memory and in my kitchen for the first time in days, instead of a drink I decided to pull out a pan, open the fridge and just started cooking something. I realized that this feeling I get in the kitchen is my baseline. Everything else is noise. It was the first time I felt normal all week. I”m feeling a little bit less anxious now just thinking about how the kitchen will always be there for me when I need it. Hugs. trevor, I’m so sorry you had a bad week. It’s amazing how things can suddenly all crash down around us at once. I’m glad you had the kitchen as refuge. And as you say, it will always be there. Hang in there, friend. How precious of you to include us and share with the world your journey. I truly believe the more people share about their struggles with mental health the less alone we all are and we can pay it forward by demonstrating to those struggling and needing help that there is joy to be found in life. Patti, so well said. I hope this inspires others to come forward with their struggles and successes. It will change the face of mental illness for us all. dear david, thank you for publishing this. I am humbled by your honesty and relieved to know that I am not alone. Cin, cin, Anna! Cin, cin. David, thank you for sharing your story… so grateful you did. Incredibly, I could “hear” Julia’s voice as I read it, with her resonant highs and lows mirroring the ups and downs of your bipolar struggle, yet simultaneously soothing the savage beast. Wishing you peace, happiness, and Bon Appétit. Thank you so much, Kim. And wishing you peace and happiness, too! Thank you for sharing this priceless post. Its definitely an inspiration and comfort to many who are faced with similar situations. I can see how Julia was such a comforting factor during those stressful days. Food is one of the 4 fundamental principles that the brain is designed around (the others being flight, flight & the ‘F’ pertaining to reproduction). At times like these, the brain needs to be treated (literally & figuratively) & pampered just like any other organ in the body (liver, kidney spleen…), rather than the intellectual, personality defining entity that most of us consider it to be. panfusion, points well take. Thank you. A powerful statement of hope for so many people who need this, with grace and love. Your words are so powerful, expressing the misery and the joys of bipolar disorder. I’m keeping it safe in my list of resources for patients, and sharing it as widely as I can for those who wonder whether life will ever be liveable. Thank you, Jean. I certainly hope the essay helps ease some of the pain of your patients. What a beautiful article, I write this with a tear or two running down my face. In today’s “dinner in 15 minute” culture, the theraputic and meditative qualities of food and cooking are rarely stated so persuasively and engagingly. Ramsons & Bramble, thank you kindly. And you bring up such a good point: the 15-minute-dinner culture is (no pun) eating away at the healing power of cooking and dining together. Thank you for having the courage to share this story…and done so beautifully. Thank you, libbiesummers. Thank you. I am so grateful for all that you have boldly and eloquently shared with your readers. My eyes welled with tears as the familiarity of it all jumped off the page at me. Our oldest son was diagnosed at 25 and just turned 40 and after years of struggle has turned into photographer—the photography has done for him what writing about food has done for you. Your candor in revealing the real person, was truly a noble thing to do. It is a comfort as it gives me hope, and it softens the pain of helplessness; and it was an extremely generous thing to do. Thank you. Terry, it’s my sincere pleasure. I’m so happy your son found his True North: photography. I’d love it if you’d share a link or two so we all can enjoy his work. You, good man, have raised the bar for shining example as a member of the human race. Thank you, David, for the world just became a bit warmer. A bit brighter. Brooks, a tip of the hat to you in gratitude. theninjabaker, thank you! It really blows my mind that you see the structure and understand it. It was like putting a huge puzzle together, trying to convey emotion with more than just words. Thank you. Greg, I wish you could, too. It’s been three decades, do you realize that? Three decades and 75 pounds! I had many comments on your story but they were personal. I love when you paint the pictures of your family as I feel so privileged to have know the characters right down to Rusty. I still have a black and white photo of him from The Photography Club days. Please feel free to use my e-mail address. Are you sure they were Topsiders and not Earth shoes????? David you have made me laugh, you have inspired, and now tears are forming, This is a beautiful piece of writing and I thank you for sharing. Tell “The One” he needn’t worry, your friends and fans love you, admire you and think you are so very talented. nywoman, thank you. And I just told The One your thoughts. He rolled his eyes at the mention of “fans.” Envious much? This is such a beautiful, honest and soulful piece, David. I always enjoy your writing, but this is truly (I’m sitting here staring at the blinking cursor and there just are no words)… Thank you. Thank you for this beautiful piece of writing. There are so many lovely, and not so lovely, tiny details (I love “the thonk and hiss” of the iron). But of course, more important is the help and hope you’ve shared by sharing your own pain. Readers will recognize themselves, and know there is help. Others will learn the agonies of mental illnesses and gain compassion. You have done a great service by having the courage to hit that “Publish” button. Kathy, thank you for your thoughtful comment. And for the kind words. I certainly hope the essay does all you say. Even if it does only 1/100 of that, I’ll be thrilled. I’ve enjoyed your recipes and writings. You always have such a positive attitude! Now you have also demonstrated your courage in detailing your illness. Hopefully it will help someone else and remove the stigma from mental illness. Rose, thank you. I hope the very same thing. Thank you for sharing this part of yourself with us. As much as I love the food, the little insights into who you are always seem best to me. As a person living with anxiety and depression, the revelation that someone I respect is like me brings a rare sense of relief. Thank you for persevering in the face of the illness for so long. I hope one day I can be as strong. Lauren, my pleasure. I’m sorry you suffer from anxiety and depression, but I’m happy that you find a sense of relief. I certainly know what that feels like. I always love reading about people who are mentally ill and are leading productive lives. And you CAN be strong, Lauren. You can. Keep searching, questioning, and settling for nothing less than the best. I remember the first psychopharmacologist I had who said to me, after I had been on meds for six months, “This is the best it will ever get.” I stood up, leaned over his desk, and said, “F$&K you! I will prove you wrong.” And I did. Never stop believing in yourself. My mouth dropped open as I read this. I too would put WGBH on and watch Julia to escape. For me it was on Saturdays. I would flop myself down sideways in a living room chair, legs hanging over the arms on one side and pray my mother wouldn’t force me to go outside to play, outside to a world I was terrified of. The funny thing is that now, decades later, I have a hard time watching Julia reruns and until reading your piece I never realized why. I think it brings me back to that painful place in my life. I am so struck by the parallel experience we had, especially knowing that back then I felt so utterly different and strange, and yet clearly I really wasn’t. Thanks so much for sharing. So moving, so powerful, so enlightening, so important. Thank you for writing this and for putting it out here to do more good than we will ever know. So much here that I can barely take it in. The deep message is so important and profound; I love the details (ironing! the dog who ‘had your back’; Motorola; bunk beds; Valley of the Dolls). I have to come back to this for more; you have served up a feast, with layers, and it will feed the world. This touches my heart and I am so grateful to you for writing it. Dear Nancie, such kind words, thank you. The post will always be here, so come back anytime! Thank you so much for your courageous post. As a professional in the mental health field, you have done the world a great service to reduce stigma and discrimination through this post. Mental health issues will affect 25% of the population in the US during their lifetime. I am so proud of you, your courage and your endurance. Life is hard and to grow up with mental health issues makes it harder. Congrats on being a survivor! Thank you, dcdinoto. That was indeed my hope. And I had no idea that 25% of the population will be affected in their lifetime. Wow. Peace be with you. I have been subscribing to your newsletter for years and was last in touch with you about 10 years ago when I wrote to you about Goa Portuguesa cuisine and recording this for posterity. As usual I have thoroughly enjoyed your post. Your testimony about you illness of bipolar disorder was a revelation and a again I must say that your life and success are a testimony to your courage, conviction and can do spirit. In all this let us not forget the good Lord Jesus Christ who has answered your personal and family prayers. I am a Master Mariner Class 1 FG Unlimited Tonnage and have had my fair share of storms in life, storms at sea, where I have realized the fact “Lord your sea is so big and my ship so small!” spiritual, mental and physical storms .The spiritual. mental ones were the most challenging but with faith in God and my God given abilities I did come of these and can now counsel and help those in distress and need. Cooking has been a hobby since a very young age, since the age of 10, and now after more than 4+ decades it still is. When I cook I relax and I am fully focused in the preparation of the food. Cuisine is an act of love, and this is what most of us do cook for the family and friends. What changed your life was a proper diagnosis of your Bipolar condition and its treatment. Good doctors, a good diagnosis and a good treatment if the cure has been found are just great. What I want to do is to introduce you to Christian healing and deliverance. I have been witness to 1000s of these over the past 35 years. Healings of Spirit, Mind and Body and yes medical cases that medical science could not heal. Even the dead coming to life ! I know of eight cases done by four leading Catholic priest, preachers and healers. One is a late Protestant preacher. This has been witness by many. I know its true. About Christian healing please by the book Healing by Francis McNutt. Then there is the famous case of a Catholic Priest who died in an accident and then came back to life. Father Joe Maniyangat, a Catholic priest, has a website where you can read more about him. http://www.stmarymacclenny.com/fatherJstory.htm. He has a great healing ministry in Florida and the Divine Prayer Center at NJ, please see http://www.divinenj.org. Please get in touch with any of the three ( there are many others ) Please ask and visit and request prayers for healing. It cost you very little or nothing but when you are healed then you will get the abundant life that Jesus Christ came to give. I am writing this as I have seen such a great outpouring of love, thanks and encouragement from your readers and so much good that you have done and are doing now. I wanted to share the above with you and others. Please do keep in touch. I have so much to share. Richard, thank you for your heartfelt comment. After drying my tears, my first thought was ‘poor baby.’ Not for who you are now, grown up, but for the little kid afraid of the world, knowing that something was wrong and not being able to find out for so long what was happening and how to fix it. That must have been so terrible for you. This was such a brave post, David. Thank you for trusting your readers with it. By the way, have you ever read @TheBloggess? She has battled her demon depression and has also been amazingly forthright about it. She is also astoundingly funny. I think you might like her. Thank you, Janet. I appreciate your kind thoughts. I don’t know @TheBloggess, but I shall go find her pronto. David, you wrote this beautifully. I didn’t realize that you had Bipolar Disorder. You have written what so many of us couldn’t. The torment that you experienced as a child was my torment. I can’t thank you enough for your courage and strength. Teresa, you’re more than welcome Are you bipolar, too? Yes, hugs to you, David. Your honesty as a human being makes me enjoy your cooking talents and creativity even more. We all need to support each other day to day. Again, hugs. Hugs to you, my dear lea. Your accomplishments do you proud. God bless, David. David – You are my hero. The courage it took to write this beautiful essay and publish it for all to see is amazing. It’s so nice to know I’m not alone in this world. Although the struggle remains a daily one, people like you lighten the load. And thank whomever for a great sense of humor! Sometimes it’s the only thing that gets me through the day and we share an abundance of it. The best of everything to you. You’re a wonderful, thoughtful, caring man who is one hell of a chef! Keep writing……and feeling the love there is in this world for you and all you do. Mary, thank you for your lovely words. You’re definitely not alone. There are millions of us who suffer from this and who lead productive lives. And the humor! Ain’t it a great coping mechanism? I got mine from Mama Leite. She’s irrepressible. Oh, one correction, though: I’m not a chef–just a food writer! From your mouth, thatskinnychickcanbake. From your mouth…. So brave and authentic. You are awesome! I can’t tell you how much I admire you for being so open, honest and brave. This is so beautifully written and completely drew me in. Caroline, thank you for reading! Thank you for sharing…very beautifully written…so powerful. My heart breaks for the young boy who needed help and was not able to find it and is amazed at the strength that child had to know valium was not the answer. I have dear friends whose child is bipolar and know the challenges they have faced trying to get their precious son the help he needs and desires…a struggle that is constant and frustrating because so few professionals know how to treat bipolar chidren/young adults. Thank you so much for sharing your very personal struggles and conquests. I know your words inspire others and that, in and of itself, is quite a gift. Betsy, please give my regards to your friends and their son. it is indeed hard to treat children. They’re not as articulate as they will be as adults, their body chemistry is naturally changing as they grow, etc. But my heart is with you and them. If there is ever anything I can do, please don’t hesitate to ask. David, what a stunning piece. Thank you so much for sharing so deeply of yourself. You will help many people with this. I am so glad you have found balance. Thank you, recipe renovator. I certainly hope it helps others. And, I, too, am very happy that I’ve found a balance. David, thanks for sharing. My daughter was first diagnosed as bipolar during her senior year of college. It’s been four years and I’m still trying to understand. You’ve helped me make progress in that today. Blessings on you and The One who wants to protect you. Polish Housewife, please give your daughter my very best. It is indeed a very confusing disorder. And parents become a guilt sponge when they hear the diagnosis. “What did I do to cause this?” “What didn’t I do?” “Why didn’t I see this coming?” And the spiral goes on and on. I was thrilled when I found out what I had. My poor parents, on the other hand, where devastated. The best thing you can do for your daughter is to love her. She didn’t ask for this, and you didn’t cause it. It’s a quirk of the brain, a head-on collision of DNA. But love and humor can diffuse the situation and make everyone feel better. David, you have touched everyone’s heart with this beautiful, touching, and heart-wrenching story. We were with you on the carpet, listening to her voice and being transported to a safer, saner place. My symptoms didn’t surface until later, and it took me nearly as long as you to get diagnosed properly. Meds and a lot of work have brought me to a place where I can function fairly normally. I too turned to cooking and writing as a way of managing my crippling depression. It gave me a new life and is opening new doors. Food nurtures all of us, sometimes in surprising ways. Thank you for sharing your story with us David! Jane, I’m so sorry it took as long as it did for you to get diagnosed and properly medicated. It’s awful, I know, but you have your own personal arsenal that helps you cope. And I find not only cope but thrive. When I’m down, I try to think of my depressions as something that burnishes my humanity to a high gloss. I’m better off for them because I can relate to others’ pain, joy, confusion, fear, successes, etc. in away I don’t think I could if I didn’t have this illness. Thank you for sharing your story David, I can’t imagine the pain you went through before finally being diagnosed. I know I can speak for many and say how happy and grateful we are that you found comfort in the kitchen and have seen fit to share your joy for cooking with us over the years. I feel very fortunate to have gotten to know you over the last year, and now find myself not only amazed by your ability but your courage and resilience. Chef Dennis, thank you for your kind words. Yes, it’s amazing how comforting the kitchen is for so, so many of us–bipolar and not. Jen, it is a bunch of crap. Because if we don’t speak out, then the illness slithers along hidden, feared, and we will continue to be discriminated against. Many life insurance companies simply will not insure a bipolar person. We are all clumped together. But the more the world sees the multiple shades of the illness, and how millions of people with the disorder are leading productive, happy lives, the harder it will be to discriminate. So I say speak out, Jen. Speak out until someone listens. Wow, David. Your heartfelt story was so honest and warm. I always look forward to your well-written posts and now, knowing more about the man behind the writing, even more so. Thank you. Cindi, thank you for such a kind comment. It means a lot. Our bipolar friend who lived next door was a sweet man who, sadly, medicated with marijuana, and ultimately took his own life. Glad you’re managing your swings, well enough to be a successful culinary professional, find love, etc. dontcallmeachef, sadly, that happens far, far more than it should. Yes, I’m truly lucky and blessed. Thanks for bringing your readers into this reality of yours. It’s remarkable to think about the things that make living bearable when it can be quite difficult. That Julia offered balm in a time when you needed it, understanding when doctors couldn’t figure out quite how to treat the condition wove into the tapestry of who you are now. Your kindness and generosity with others is something that might be what another person holds onto when they feel their world unraveling and don’t yet have a name for it. This kind of intimacy forged by a writer and their readers creates a safe space where we all realize we are meting through life together, not alone. It might have been hard to press publish, but I’m glad you could write through that experience of being a child as an adult. annelies, you’re so eloquent in your comment. It’s so interesting that all I keep hearing in my head (not voices!) is the song “No One is Alone” from “Into the Woods.” I love the message of the song, and I love how connected the folks who left comments here are. Hopefully this will act as a safe place for someone who is hurting. I cried. Hugs, David, hugs. Thank you for sharing. Ling, my dear, thank you for reading. Can’t thank you enough for your most recent Blahg piece. I’ve struggled myself with some rather pesky bouts of manic depression and I’ve learned to recognize the zipping up followed by the plummeting crash with serious dread. Your mentioning that melting a little butter gave you joy in particular struck me. It reminds me that at times when the world seems so incomprehensible, when it seems just too exhausting to have try to explain to someone else who won’t understand anyway why I’m just a little off kilter, and when opening the front door just requires an amount of effort I don’t current have the energy to attempt, picking up a knife and an onion and a carrot and some celery and making perfect brunoise is sometimes enough to give my brain enough time to just…. stop. And sometimes, that’s enough. Moderately Manic in the West, your comment and your struggle makes me feel as if I know you in some way. I have been there many a time. Too many a time, actually. So few people know how exhausting it can feel to open the door or get the mail. I wish you much health, my friend. I can relate to your story which is so beautifully written. It must be wonderfully warming to receive so many positive responses to something that you had doubts about. Seems there is something about your writing that draws compassionate people. Wouldn’t it be lovely if people could have empathy transplants? Some come with such excess that it causes tremendous pain, and others come with so little that ‘they’ cause tremendous pain. A bit of equalization on that would be welcome. Very glad you’ve found some balance, I have too after many years. Often I’ve comforted myself with the idea that we experience the swings of the pendulum, and can only realize true joy if we’ve experienced deep sadness. Well, I’m still a work in progress and have decided a gently swinging pendulum is preferable to one that slams into stone walls on both sides. Our son will soon be 30 and no amount of experience makes seeing your child in pain any easier. Hopefully he will also find a balance. Meds can be very helpful but finding just the right recipe is difficult for many. Your blahg has allowed you to step onto the front line of tearing down the wall of stigma. People are different with varying needs. We are humans. Both you and The One should be pleased with this accomplishment. Cooking is nurturing, soothing, and yes, Julia shared that with us, and we are grateful, and share it with others. Reading your essay and the comments has bolstered my hope / belief that there are more good people than evil ones. And, of course, A Sense of Humor……………Priceless ! nola2chi, thank you for your incredibly touching comment. I’m so happy to know that you have found balance in your life. I wish the very best for your son. It’s such a hard situation, to see someone you love deeply to be in such deep pain. oh, oh…………..and, I’ve recently rediscovered Earth Shoes and they’re still great. Helped a lot with back pain. Ah yes, the brunoise meditation, so very effective! And the term haywired rings a bell also. Crosswired, miswired, not quite right, but depending on perspective, aren’t we all? David, I wish more people would be open and honest about mental illness. I am bipolar and I know the roller coaster ride well. I tried to get help in my early 20’s from MHMR but after 3 appointments they asked me what I wanted from them. I told them I wanted to know what was wrong with me and possibly get treatment. I was told there was no more that could be done for me and that I would just have to continue living with it. But the problem was I would not be living at all if this did not stop or improve. In 1987 I married a man after knowing him for only 3 months (I know, I know–symptoms of the illness). He became controlling. One night I was in a rage, another of my symptoms. I grabbed a framed photo off the wall and broke it across the dresser. Using a piece of the broken glass I proceeded to cut both my forearms as I told my husband I didn’t care about me or what happened to me. I then locked myself in the bathroom. As I sat in the bathroom I realized I had really done some damage. So I wrapped my arms in towels, left the apt. and walked to the nearest pay phone and called an ambulance. At the hospital a mental health specialist asked if I want to talk to someone. I cry and said yes. Over the years I have come to accept myself as is and I really love the way my brain works. Of course I have done extensive research on bipolar disorder and have discovered many of us are creative and extremely imaginative I am lucky I fall into this category as you do, David. I don’t say ‘can’t.” David do you have a sixth sense? It’s another thing I believe I can give credit to my illness for. And no I not crazy. Ha, can’t believe I wrote that. I believe a large percent of Americans have some sort of mental illness. If our bodies can become ill from eating processed foods or breathing in the pollution, I have no doubt our brains are just as affected. Thank you, Katherine for your honest and wrenching comment. Oh David, this really hits home. I can’t tell you how many times a day the thought “what is wrong with me?” floods through my mind. For anyone who hasn’t dealt with anxiety, it can be terribly difficult to handle and understand. Knowing that you’ve found some stability is really reassuring, and I am just so happy to hear that you’ve found happiness. Thank you so much for writing this, it has really helped me out today. Niki, it’s my pleasure. I’m delighted I could be a help to you today. Your story touched my heart. I remember escaping my anxieties as an adolescent in the 70’s watching Julia. Thank you David. Thank you, Katherine. It seems she really helped a lot of people, doesn’t it? If he has the writing skills you do, my step-son would have written a piece very similar to yours. I wish I could’ve read this when he was little, the insight would’ve been so helpful! He’s currently in his early 20’s and thinks he doesn’t need medication nor does he have a mental illness. I hope he will reach the mostly peaceful place in life you have and soon. I pray for this every day. Thank you so much for sharing this. Sandra, my pleasure. Ah, youth. I hope your son does come to realize he has a mental illness and needs medication–plus a good sleep regimen, a shrink, exercise, good food, etc. I wish you both the very, very best. Well written and it hopefully helps many people suffering from bipolar disorder. Thank you for writing this down and sharing it with the world, David. I know a couple of people who could use your words right now to take some comfort in knowing that they really are not alone, no matter how much it might feel like they are at certain times…and to know there is nothing wrong with seeking help. Even though the U.S. is a little more open about mental illness than when you and I were growing up, we still have a long way to go in de-stigmatizing it and treating it like what it is–an illness. Cheers to you for all the wonderful things you have done and brought to the world! transparentguy, thanks for the kind words. I hope this helps your friends and that the message of hope and no shame resonates with them. Personally, I find it silly that people have such issues with mental illness. I believe it’s partly projection–the fear they they themselves might be ill to some degree–so they have to split it off and separate themselves from it completely. When I worked in advertising, I witnessed people who are not mentally ill act in ways that would embarrass even the most incapacitated bipolar person I know. Rick, thank you kind sir. I am so glad you made it though the depression of bipolar disorder. I was entranced by your words and how they flowed onto the paper. I could swear you were talking to me and only me. I know how it feels not to feel well within your own self. I have Lupus Erymthematosus. I have had Lupus since I was 12. Couldn’t be outside so I cooked and watched many cooking shows. I am no famous chef, but when I feel well I try to cook like one. It’s awesome to feel well when the meal you have prepaired is enjoyed by all you have cooked for. Good day, sir, I wish you a many well years of joy and happiness.